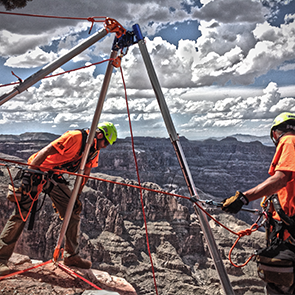 AHS Rescue is recognized for our in-depth knowledge in the field of rope access training, providing extraordinary service combined with the best rope access and rescue equipment in the industry. 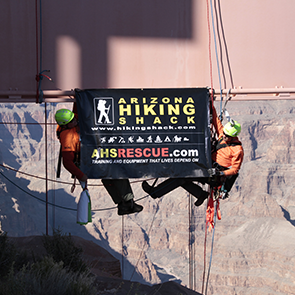 AHS Rescue is recognized for our in-depth knowledge in the field of rope access training, providing extraordinary service combined with the best rope access and rescue equipment in the industry. 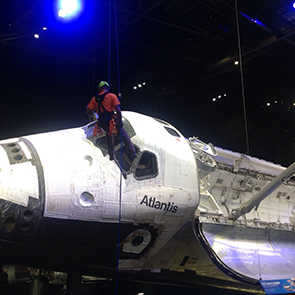 We are a valued supplier to government agencies, professional services and commercial industries that require workers at elevation in various environments to perform the duties of their job. 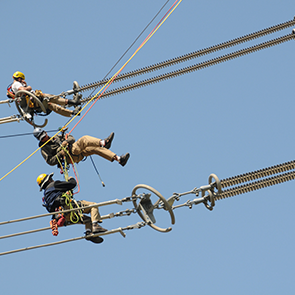 We partner with the best-known training professionals in the industry to provide Rope Access Skills level 1 and 2 with Ropes that Rescue, and SPRAT training offered by our training partners. 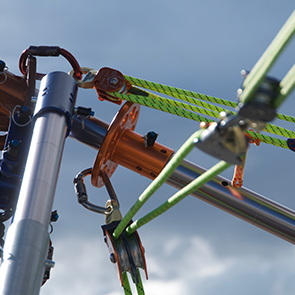 The Society of Professional Rope Access Technicians (SPRAT) Training also applies to our Industrial and Structural Tower Courses, providing certification to industrial workers that require rope techniques when working at height. 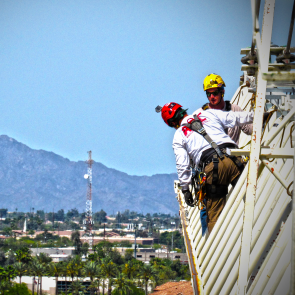 See our Fall Protection Training for courses offering structural tower training. 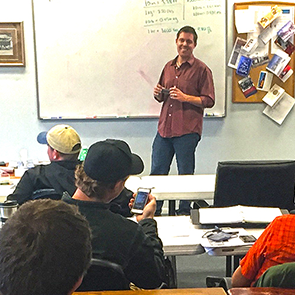 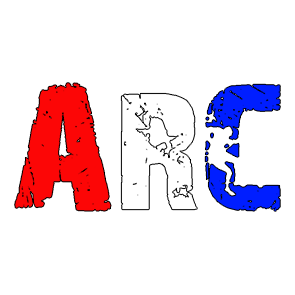 AHS Rescue offers eleven courses covering rope rescue and rope access techniques, as well as two courses aimed specifically at rope access skills for job safety. 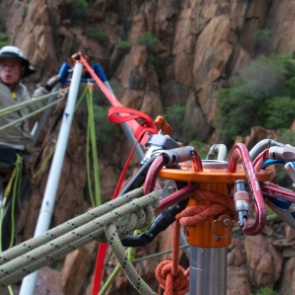 Rope Access Skills 1 – The RASW-1 is a six-day entry level course taught in Oak Creek Canyon at 4500’ in beautiful Sedona, AZ. 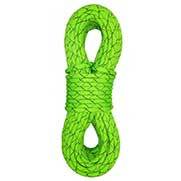 This course is designed to provide basic to intermediate skills for any authorized rope worker. 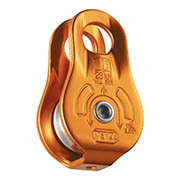 Students will learn proper techniques such as knot craft for end line, middle, hitches and bends, evaluating a job site and rigging for safe working conditions. 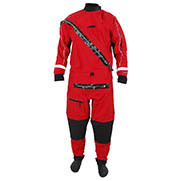 Students will become familiar with basic equipment including descenders and ascenders, connectors, fall arrest and work positioning harnesses, helmets, lanyards and much more. 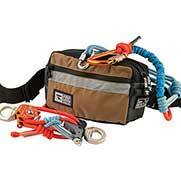 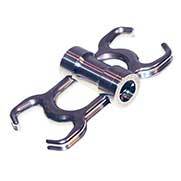 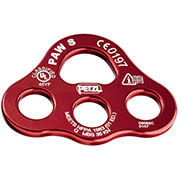 Pulley systems, belaying and anchoring principles are also reviewed. 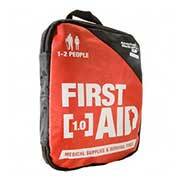 RASW 1 provides the necessary training to meet the requirements for Level 1 Worker Certification from SPRAT. 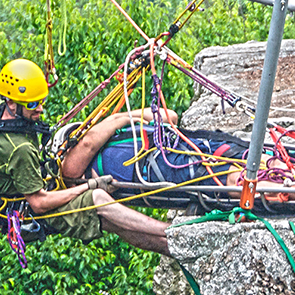 Rope Access Skills 2 – The RASW 2 is an intensive five-day course for those that need increased skills requiring artificial high directionals (monopods, bipods and tripods), advanced anchoring, pulley systems, offsetting which includes tracking lines, guiding lines, skate blocks and deflected offsets, mechanical capstan winches for lowering and raising loads, and much more. 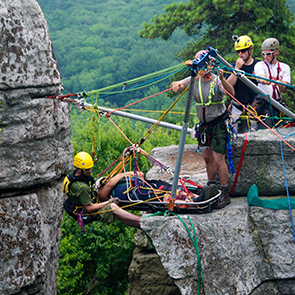 Students also learn advanced knot craft, advanced physics, first up rope climbing training, and the philosophy of descending versus lowering on rope. 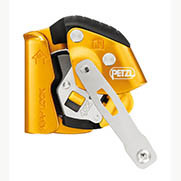 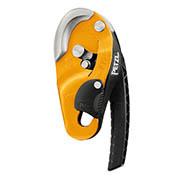 AHS Rescue offers all necessary equipment including the AES Aztek Elite Kit, a Full Body Work or Rescue Style harness such as the Petzl AVAO Bod Fast International Version or the Yates Basic Rope Access Professional, and Locking Aluminum Carabiners that will be used for personal and team use. 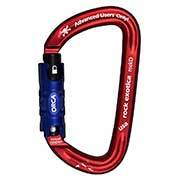 Auto lock type 3 or double auto lock type 4 aluminum carabiners are the best choice for rope access so that you can use one hand to open and close the carabiner. 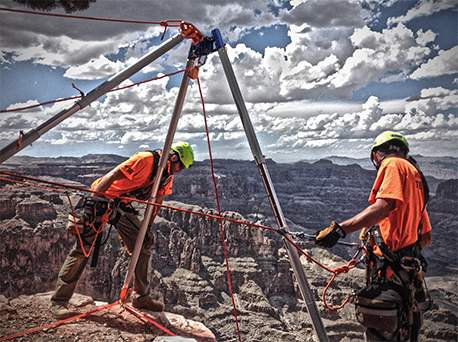 Rope access training is utilized around the world by anyone working at height to perform their job. 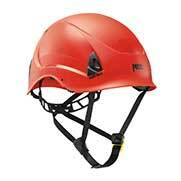 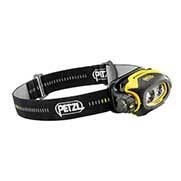 Job safety is our number one concern, providing training and equipment that lives depend on. 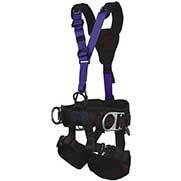 AHS Rescue is an experienced provider of reliable and dependable rope access equipment to workers who perform their job duties at height. 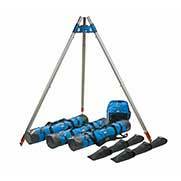 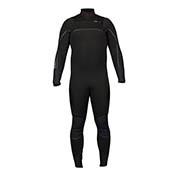 Shop online or fill out the form to purchase your required equipment, or to schedule your training.